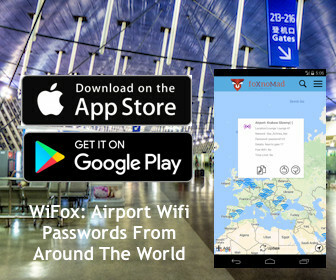 I carry a lot of electronics and when I recently posted all of the gadgets I travel with, many of you sent me messages asking what that gear was kept in. We often focus on the complex items, forgetting about the simple, yet critical bags, covers, and cases that protect our valuables. These are the road-tested, non-electronic items I have used, in some cases for years, and would recommend for your travels as well. 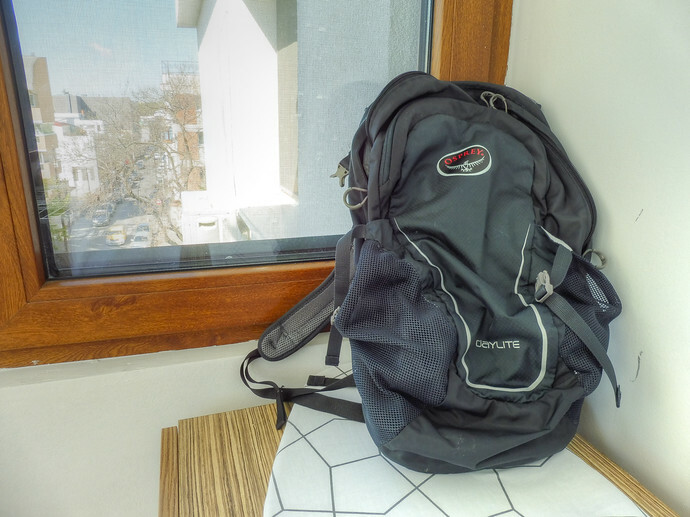 The Osprey Sojourn 60L is a good medium between the larger 80L and compact 45L versions. The “L” is for liters of volume, roughly 63.5 centimeters (25 inches) by 35.56 cm (14 in) by 35.56 cm. 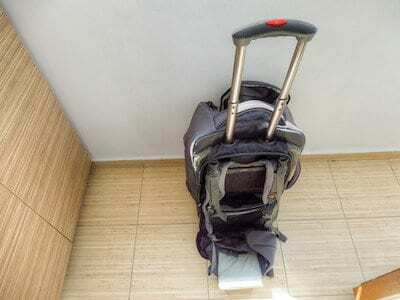 It’s a roller; which I find preferable to a backpack so if you have another smaller backpack you don’t have to wear both in the “double turtle” tourist configuration. The Sojourn 60L does have backpack straps if you need to carry it on your back (a feature I’ve rarely used) but more useful are the interior compression straps. Those make it much easy to keep your belongings from dancing about, plus takes pressure off the exterior zippers. 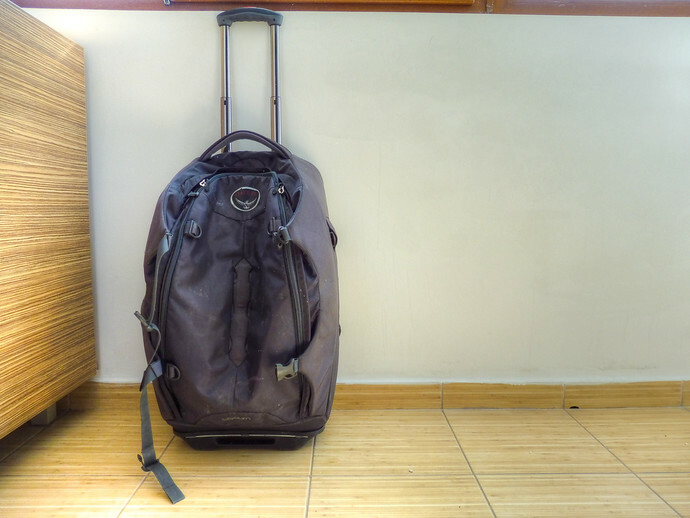 I have used the same Osprey Sojourn 60L for years, on hundreds of flights, over 6 continents, and they hold up incredibly well. This backpack has 15 pockets and comfortably holds all of my electronics, including the DJI Mavic Drone. 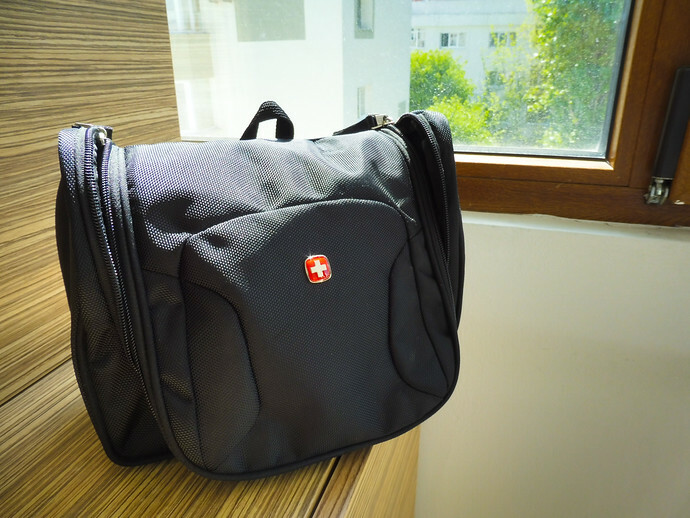 Made of 1200D ballistic polyester fabric; I used a smaller version, the Wenger Synergy for over 12 years – only changing to the larger SwissGear 1900 to accommodate the addition of a drone. Carrying around a bag full of all your gadgets isn’t practical or very wise so for days out exploring. Fitting nicely into the Sojourn, the Osprey Daylite (22.86 cm x 22.86 cm x 45.72 cm) is an ideal size for a day pack, trips to the gym, or jiu-jitsu classes. It can carry a DSLR, Mavic Drone, gym clothes, though not all at once, it’s close. Weighing only 426 grams (.94 pounds) with a ventilated back panel, the Daylite is comfortable, small, plus has compression straps for times you need to push its capacity. 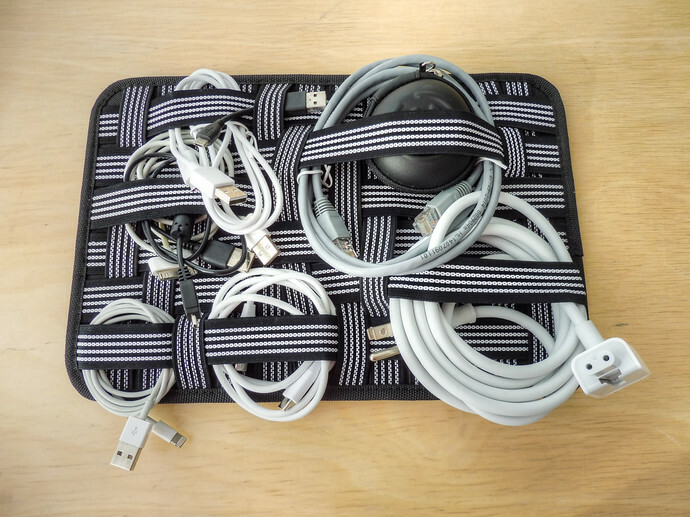 I had put off organizing my cables for a long time but after another time in airport security having to pull out a clump of cords, send them back through the X-ray, and attempt to shake all the tangles out I decided on the Cocoon Grid-It, 5 x 7.5 inch organizer. It’s about the size of a standard sheet of paper with a very slim profile, plus its designed in a way that you don’t need to be very organized to make use of the Cocoon’s organizational benefits. Put the cable where they fit, then be on your way. SwissGear make very durable products that are well thought out in design to an extent it’s easy to forget how useful they are. 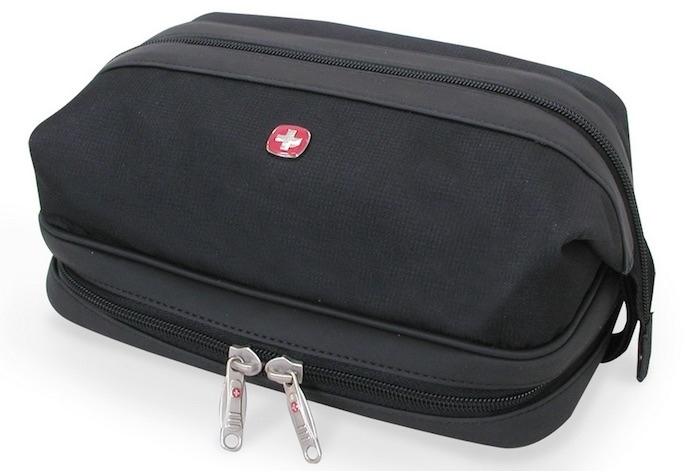 The main pockets of the SwissGear Deluxe Framed Kit are lined with rubber to make them water-resistant – ideal for packing deodorant, perfumes, shampoos or anything else you don’t want leaking into your luggage. For those of you looking into a drone to travel with, the DJI Mavic Pro is a good combination of size (it’s collapsible) with excellent video quality (shoots 4K). Many of the hard cases sold for the Mavic are big, adding unnecessary bulk to a drone designed to be small. The SwissGear Hanging Toiletry Kit, odd as it may seem, is a soft case that perfectly fits the Mavic (in its sleeve), the remote controller (in the Altura Small Neoprene Pouch Bag), and charging cables nearly perfectly. 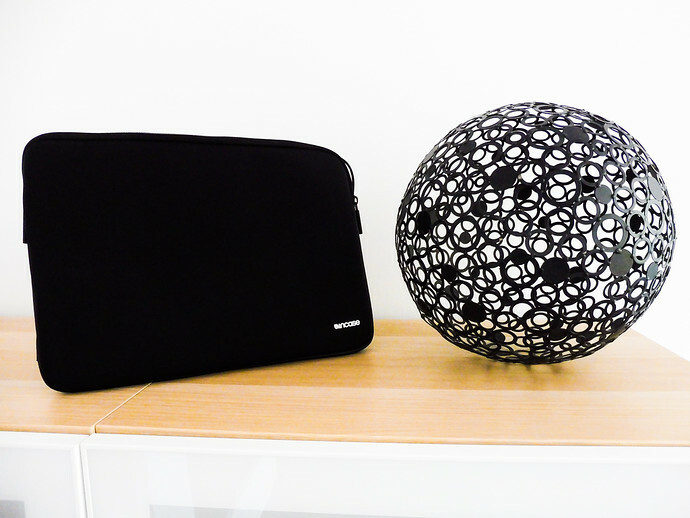 The Incase Icon Sleeve is a soft cover made for a number of laptops and what I keep my Macbook Pro in. The Incase has saved my laptop from what could have been a devastating fall at airport security, protecting it from the effects of traveling. Slim, durable, and as you may have guessed by now, with plenty of pockets. iPhone Case (Non-Charging): Spigen Air Skin – I prefer this case because it’s very slim but made of a durable, hard plastic, matte finish; providing a solid non-slip grip. iPhone Charging Case: ChargeTech ThinCharge – Extends the battery life of an iPhone 6s by about 1.5 times and claims to be the world’s thinnest charging case. iPad Air 2: Apple Smart Case – Covers the entire iPad, even the sides and back, from scratches or impacts. Lastly, for my Panasonic Lumix DMC-ZS45 camera, I use an off brand, particularly mundane looking black case. 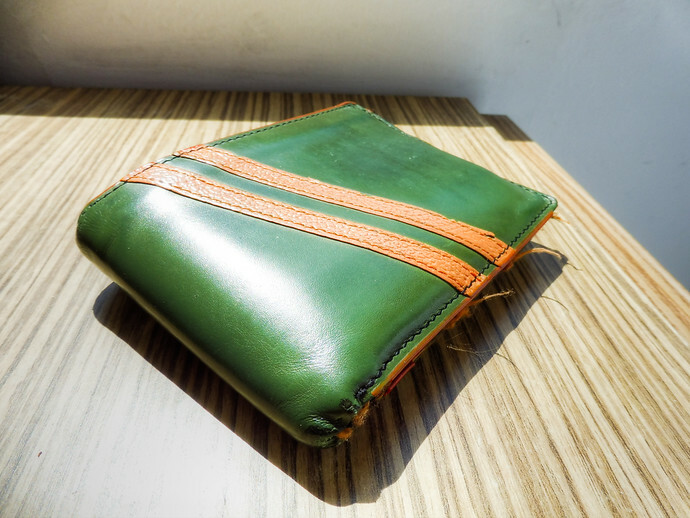 Another benefit to cases are they can reduce the perceived value of what’s in them and uglifying your gadgets when they’re public can make them less enticing for pickpockets. 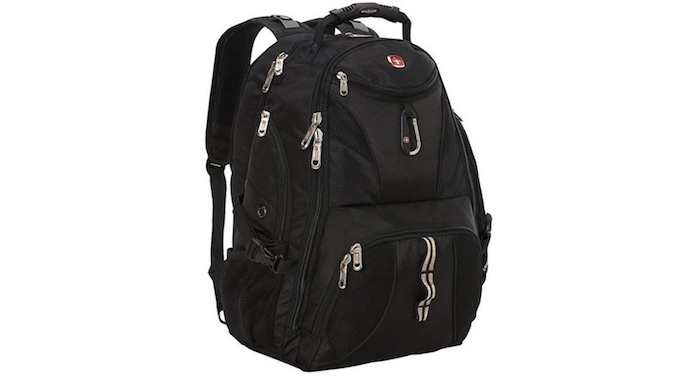 Like any good case or backpack, you want something functional, not much bigger than the things it’s carrying, with of course, plenty of pockets. 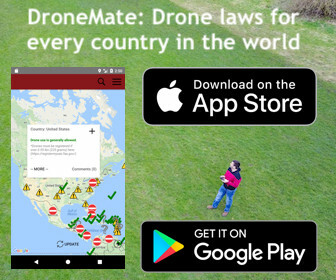 It is interesting to me that anyone would travel with a drone, but that makes me consider the legality of using a drone in various countries or even cities. As for the Grid-It, I have two which were purchased impulsively after reading about them years ago. I never found them useful or easy to us. It was just more weight and something else to manipulate when rubber bands were great at keeping my cords organized and reduced the weight. A few extra bands in case of breakage is a small burden. To carry it all, I found a breathable bag that comes in a set of three, one being a pencil case, that keeps all of my small electronic cords, external drive, and USB sticks nicely contained. I like the ability to be able to grab the Grid-It and take all my cables out at once (most often at airport security).